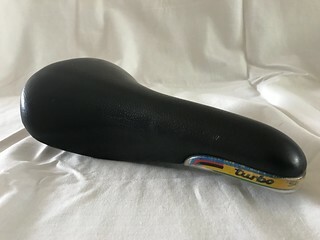 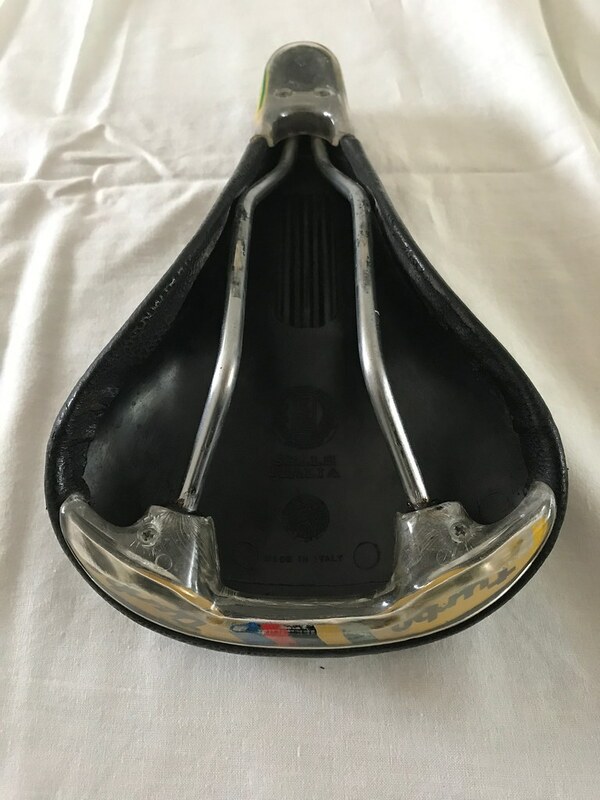 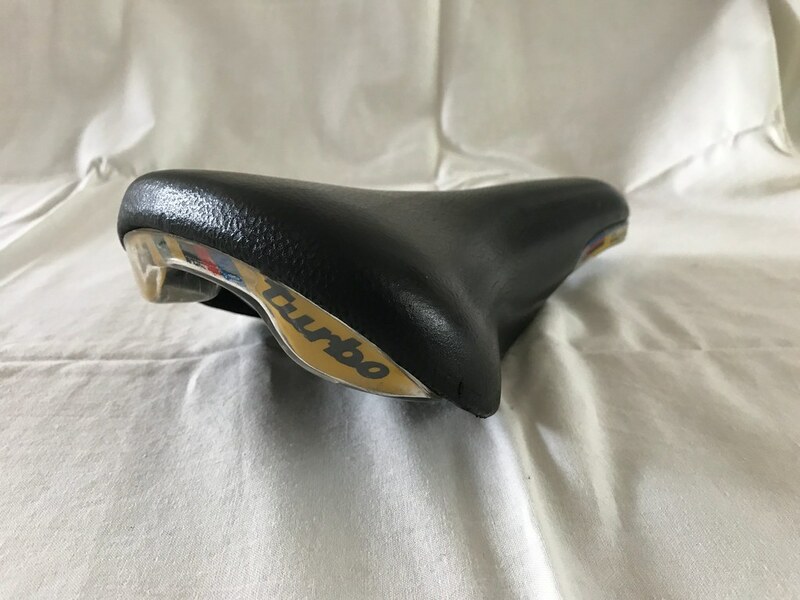 Another edition of the famous Selle Italia Turbo saddle. Another attempt to keep their successful Turbo saddle alive. 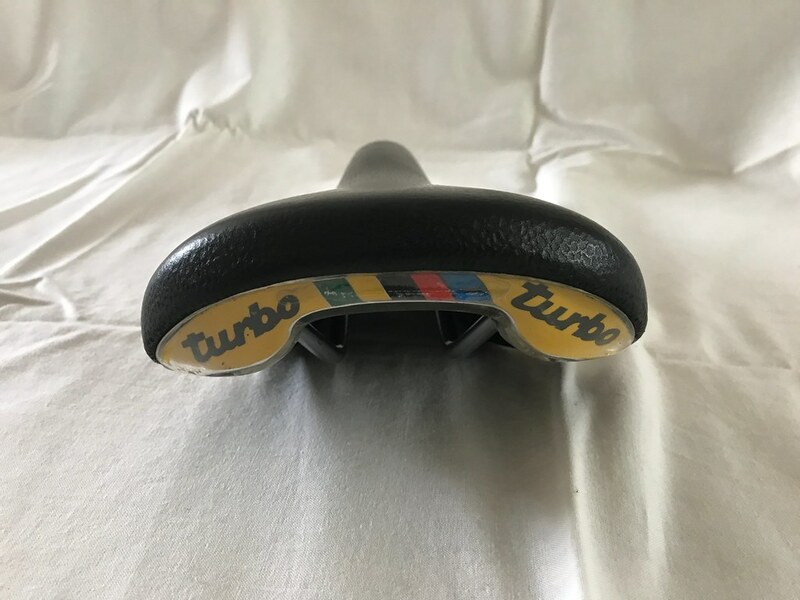 Not really nice with the plastic windows with a decal behind it. It's said that it has a bit more padding at the nose and at the back. Quite difficult to find this type of saddle, it's becoming rare.